Can you see the potential? Perfect for handy person. Beautiful 2 acre, flat, corner, country lot location! Large back, front and side yards. 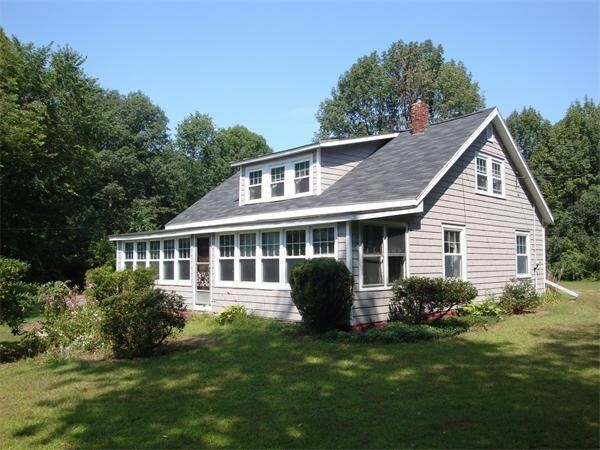 4 bedroom Cape w/ great floor plan for entertaining, lot's of charm & character. Large eat in kitchen w/ new vinyl floor & paint, formal dining room w/ custom china cabinet that opens to living room w/ wood stove & new antique granite hearth. Large sun porch. Bonus of a 1st floor bedroom. Updated bathroom & new vinyl floor. Detached two car heated garage & horse shoe driveway. Easy access to all commuter routes. Sought after Pentucket Schools. Bring your ideas for cosmetic updating. Property being sold "as is". Inspection for informational purposes only. Priced to sell listed well below assessed value! Firewood Negotiable At $100 Per Cord. Portions Copyright © 2019 Mark Dickinson. Portions Copyright © 2001-2019 iMaxWebSolutions.com.